The sparqs site ("the website") is owned and operated by sparqs , an organisation based in Edinburgh, Scotland, UK. Please review these Terms and Conditions carefully before using the website. Your use of the website indicates your agreement to comply and be bound by these Terms and Conditions. Student Partnerships in Quality Scotland SCIO (we or sparqs) is committed to protecting and respecting your privacy. This policy sets out the basis on which any personal information we collect from you (or that you provide to us) via our website at www.sparqs.ac.uk and other online and traditional communication channels, will be used by sparqs. Please read the following carefully to understand our views and practices regarding your personal information and how we will treat it. For the purpose of the Data Protection Legislation, the controller of your personal information is Student Partnerships in Quality Scotland SCIO, a Scottish Charitable Incorporated Organisation (Charity Number SC046172), having its registered office at 1 Papermill Wynd, Edinburgh, EH7 4QL. Contact with us - Information that you provide when contacting us through our website (www.sparqs.ac.uk), by phone, email or in person. Website - Details of your visits to our website including, but not limited to, traffic data, location data and other communication data, whether this is required for our own billing purposes or otherwise and the resources that you access. Meetings and events - Information that you provide when registering, attending, presenting or contributing to sparqs events and meetings. Information from other sources - Information that we collect from other legitimate sources e.g. role and contact details from institutional/agency websites. Recruitment - Information supplied to us to process applications and monitor recruitment statistics, this may involve personal information relation to your health or criminal convictions which is known as "special categories of personal data". Surveys - Feedback and evaluation data collected through survey monkey, paper form or otherwise is done so anonymously. Some specific comments may be used as testimonials and used in marketing materials, but these comments are always anonymously attributed. Financial information - Information collected to enable reimbursement of expenses where agreed. Payments for events are done so via PayPal, a third party service provider and as such sparqs has no access to this information. The information you give us may include your name, role, institution/agency, email address, details of your device, particulars of your social media account and your experiences of different facilities and services where you consider that improvements are required to facilitate communication and participation. We may collect information about your computer, including, where available, your IP address, operating system, browser type and version, time zone setting and browser plug-in types and versions for system administration and to collate aggregate information. This is statistical data about our users' browsing actions and patterns, and does not identify any individual. In the normal course of their business, internet service providers ("ISPs") are permitted to cache the website content as described in the European Commissions Regulations on Electronic Commerce (2002). Cookies are a piece of information that is stored on your computer's hard drive by your web browser. When you first visit our website you will be given the opportunity to allow or disallow cookies; cookies allow you to get the best interactivity from our website. On revisiting our website we may recognise the cookie, giving us information about your last visit. Most browsers accept cookies automatically, but usually you can alter the settings of your browser to prevent automatic acceptance. If you wish to delete any cookie files, please refer to the instructions for your file management software to locate the file or directory that stores cookies. When you visit the website, anonymous information about your visit will automatically be collected. We use this information only as anonymous aggregate data to determine the number of visitors to different sections of the website, to ensure the website is working properly, and to help us make the website more useful. We do not use it to track or record information about individuals. More information about cookies, including how to block them and/or delete them, can be found at AboutCookies.org. We use information held about you in order to provide you with services and for our legitimate interests to pursue our charitable objectives regarding student support and engagement in the following ways. 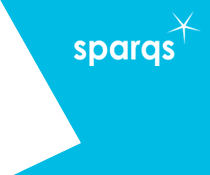 To contact you regarding sparqs news, products and services which may be of interest to you. To administer your attendance at an event to ensure that your requirements are accommodated so that you can fully participate in the event. To allow us to consider your comments, queries and suggestions and respond, if necessary. You have the right to object to us using your personal information for such purposes by contacting us on admin@sparqs.ac.uk If we agree and comply with your objection, this may affect our ability to consider your comments, queries and suggestions in order to respond to you and improve our website / services. We only use special categories of personal information for the purposes of complying with our obligations under the Equality Act 2010 to provide you with reasonable adjustments and undertaken equalities monitoring and personal information relating to criminal offences for the purposes of exercising our rights as an employer. We may share your personal information with analytics and search engine providers that assist us in the improvement and optimisation of our website. Key partners, including Scottish Funding Council and National Union of Students. Service providers who process personal information on our behalf in order to provide services to us. This includes IT systems providers and IT contractors. Other voluntary sector and not for profit organisations with whom we partner to deliver services. In the event that we sell or buy any business or assets, in which case, we may disclose your personal information to the prospective seller or buyer of such business or assets. If sparqs or substantially all of its assets are acquired by a third party, in which case, personal information held by it about its customers will be one of the transferred assets. To protect the rights, property, or safety of sparqs, our customers, or others. This includes exchanging information with other companies and organisations for the purposes of fraud protection and credit risk reduction. All information is stored on our secure servers based in the UK. If we are required to transfer your personal information outwith the EU, we will ensure that the appropriate safeguards are put in place to protect your personal information. Unfortunately, the transmission of information via the internet is not completely secure. Although we will take all reasonable endeavours to protect your personal information, we cannot guarantee the security of your personal information transmitted to our website and any transmission is at your own risk. Once we have received your information, please be assured that we will use strict procedures and security features to try to prevent unauthorised access to, destruction of or damage to such personal information. As long as we provide goods and/or services to you. You have a right to object to and/or request that we restrict the processing of your personal information for specific purposes. You have the right to unsubscribe from sparqs news articles at any time. If you do so, we may still contact you about specific pieces of work relevant to your role. Any requests received by sparqs will be considered under the Data Protection Legislation. If you remain dissatisfied, you have a right to raise a complaint with the Information Commissioner's Office at www.ico.org.uk. Our website contains links to other sites. sparqs is not responsible for the privacy practices within any of these other sites. We encourage you to be aware of this when you leave our site and to read the privacy statements of other websites you visit which collect personally identifiable information. This privacy statement applies solely to information collected on the sparqs website. If you have any complaints about the way we use your personal information please contact nicola.mcintosh@sparqs.ac.uk who will try to resolve the issue. If we cannot resolve your complaint, you have the right to complain to the data protection authority in your country (the Information Commissioner in the UK).